Hello everyone! So I re-read this book for the Christmas season. This was actually my first Stephanie Plum novel that I ever read. I think I was in the 10th grade when I read this and I have been read Janet Evanovich books ever since. 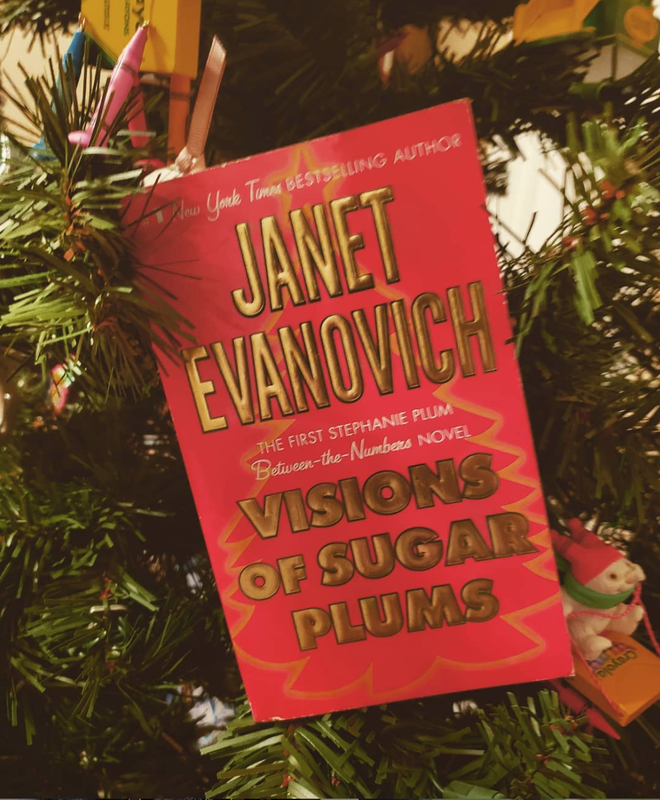 If you are new to my blog, then you may not know that I am a big Janet Evanovich fan. Love, love, LOVE the Stephanie Plum series, it's got to be one of my favorites. I've been slowing down on reading more of the series, so that I can write reviews on other books, but glad I went back to read this Christmas classic. Here is my review. SPOILER ALERT! As for Stephanie, she is on another roundabout chase to find a toy maker named Sandy Claws. A strange man ends up finding her way into her life, she's dealing with her sister's pregnancy and somewhere in-between, our heroine is attacked by "elves." Typical Stephanie. Unlike most Stephanie Plum novels, this one definitely has a change of pace. This book is more straight to point and really focuses more on Stephanie and her family, rather than her romantic dynamic between Morelli and Ranger. It feels a little different while still being a true Stephanie Plum novel. It's change of pace doesn't take away from how many laughs you will have while reading this book. Like every Stephanie Plum book, it's filled with jokes, blunt humour and crazy grandma's. What could be funnier than those three things? This book is definitely a different kind of Christmas story and it's definitely one reason that you may find this story enjoyable. While I mention on the enjoyable side that the focus was not on Ranger/Morelli, some people might miss that dynamic. There also wasn't that much Lola time, which is Stephanie's best friend. Everyone in the Stephanie Plum book series is funny in their own way, but Lola is just that sidekick that you miss. Overall, this is a great book to pick-up when you're in the Christmas mood, whether that'd be in December or July. It's as funny as any other Stephanie Plum book and it's a great read for any part of the year. As always, please subscribe to read more reviews and rainy thoughts. I will have my next Rainy Thoughts come out next week and that's going to be on spending the holidays with your in-laws! Until then, Happy Reading! Also, if you would like to check out my own book, you can click the button below! 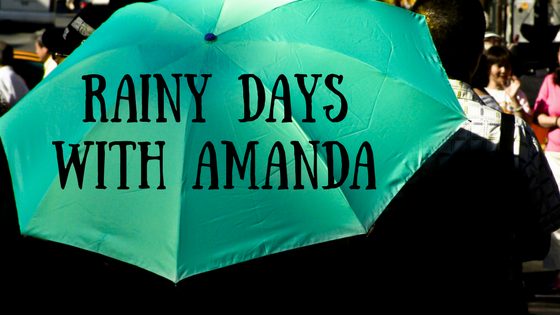 Rainy Books: Heart of the Oak Guest Post!